Join the North East Wing Chun Student Association Book Club! 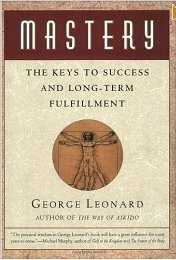 Mastery, The Keys to Success and Long-Term Fulfillment by George Burr Leonard. Drawing on Zen philosophy and his expertise in the martial art of aikido, bestselling author George Leonard shows how the process of mastery can help us attain a higher level of excellence and a deeper sense of satisfaction and fulfillment in our daily lives. Whether you're seeking to improve your career or your intimate relationships, increase self-esteem or create harmony within yourself, this inspiring prescriptive guide will help you master anything you choose and achieve success in all areas of your life. Conflict and violence covers a broad range of behaviors, from intimidation to murder, and requires an equally broad range of responses. A kind word will not resolve all situations, nor will wrist locks, punches, or even a gun. Scaling Force introduces the full range of options, from skillfully doing nothing to employing deadly force. You will understand the limits of each type of force, when specific levels may be appropriate, the circumstances under which you may have to apply them, and the potential costs, legally and personally, of your decision. In this invaluable, personal self-defense manual, a 20-year police veteran and expert in survival techniques tells readers how to mentally prepare themselves to survive sudden and random violent crime. 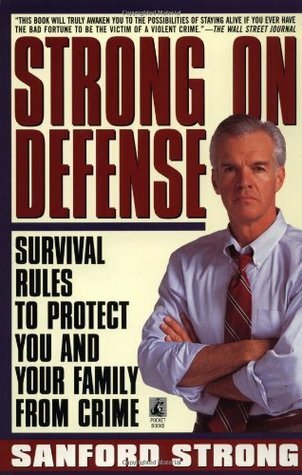 "Strong on Defense" offers the proven formula for surviving more than 30 crime scenarios, from bumper crime to carjacking.